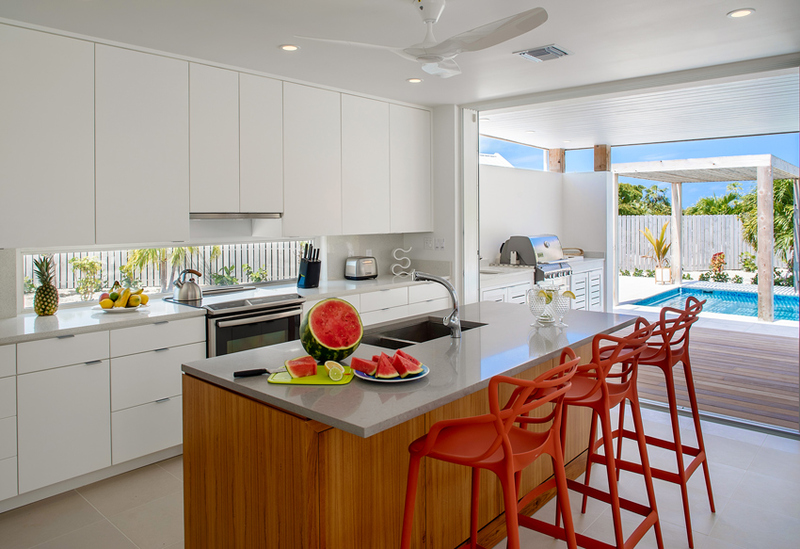 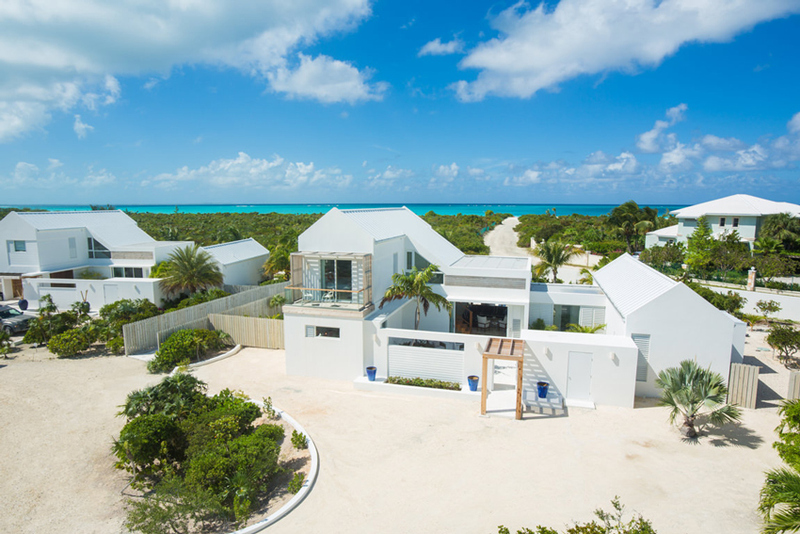 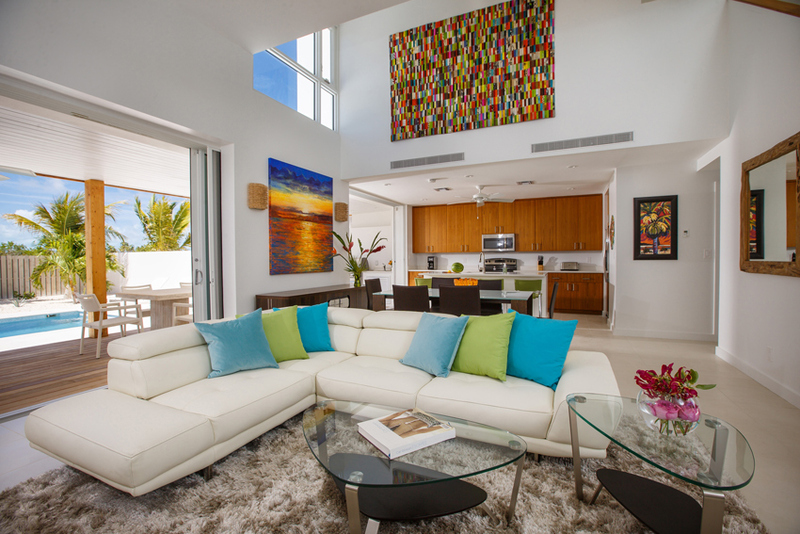 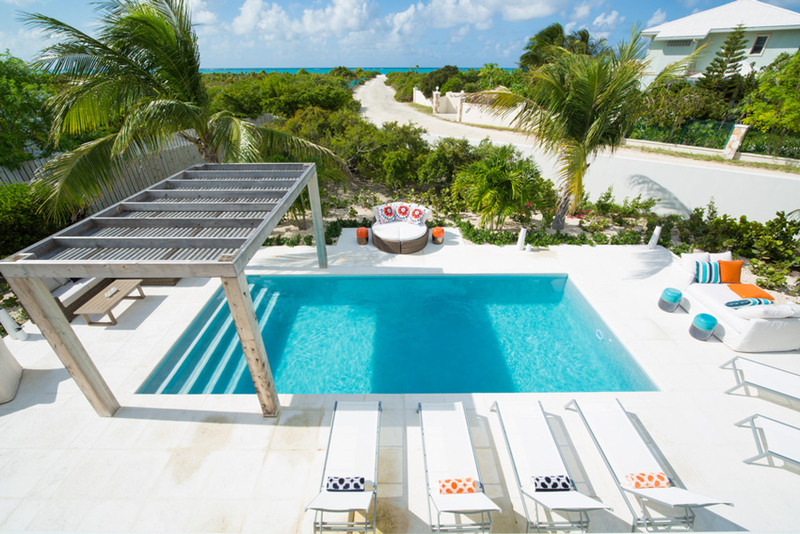 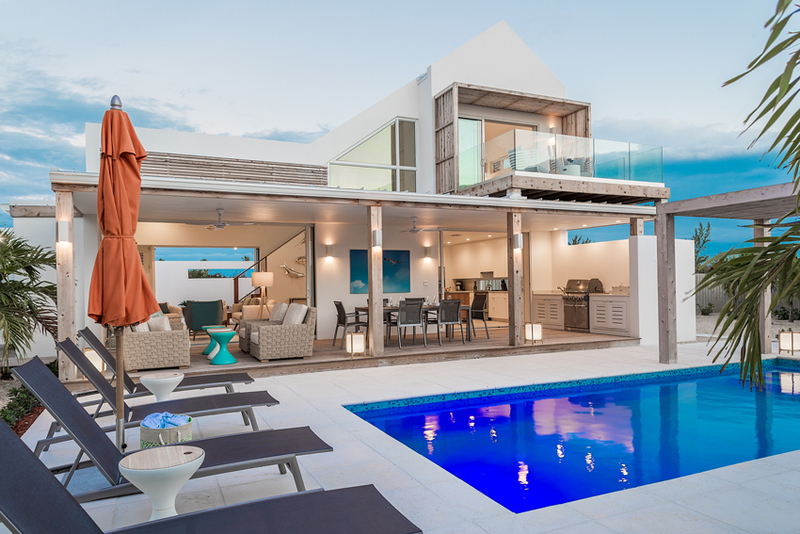 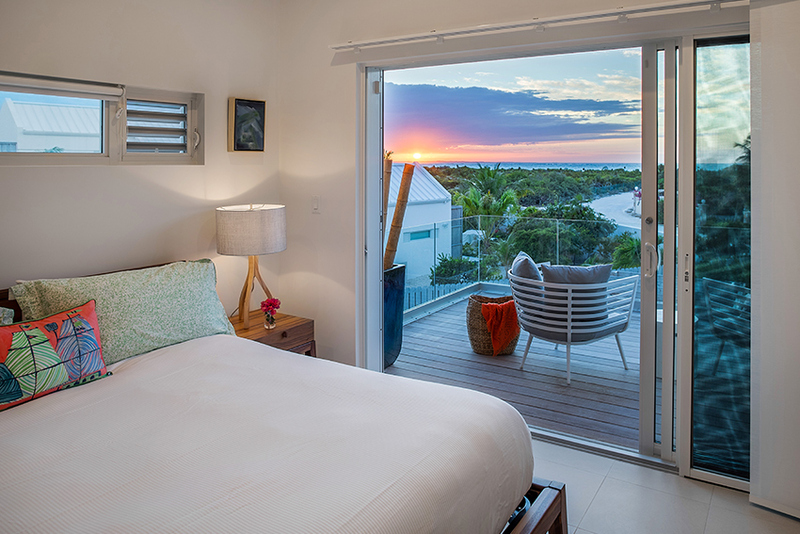 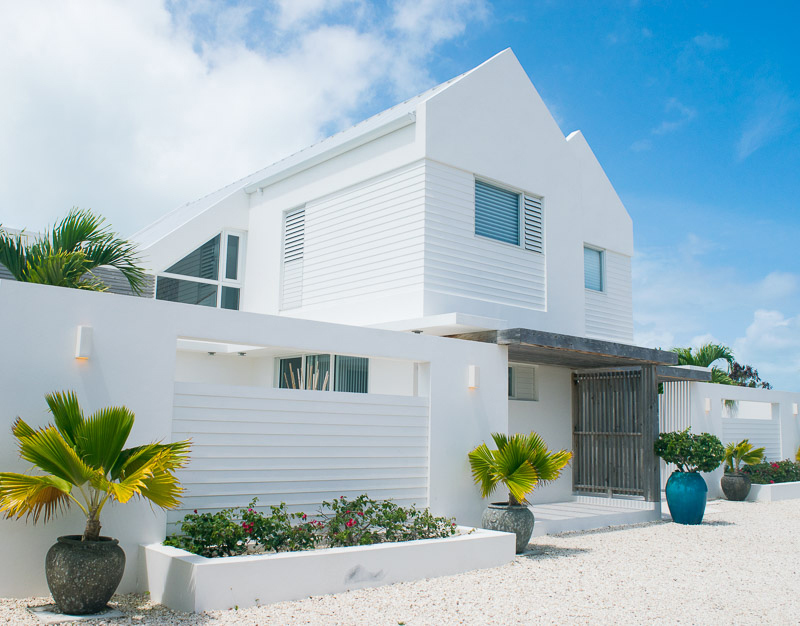 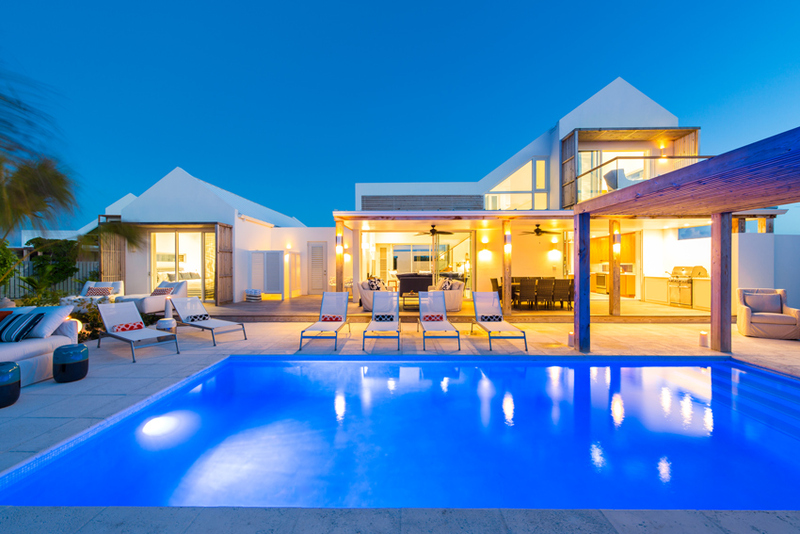 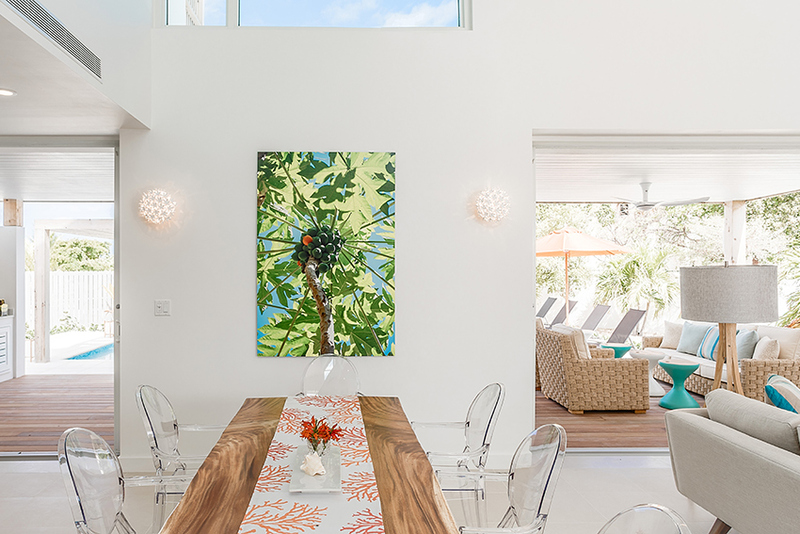 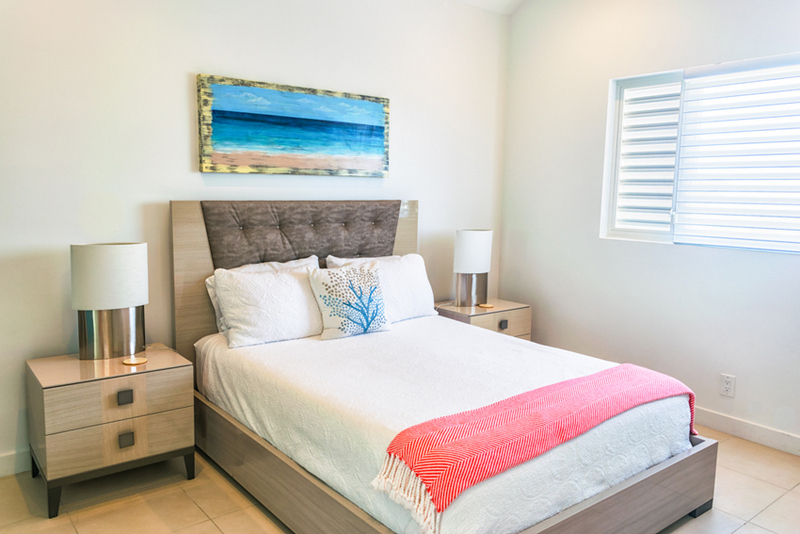 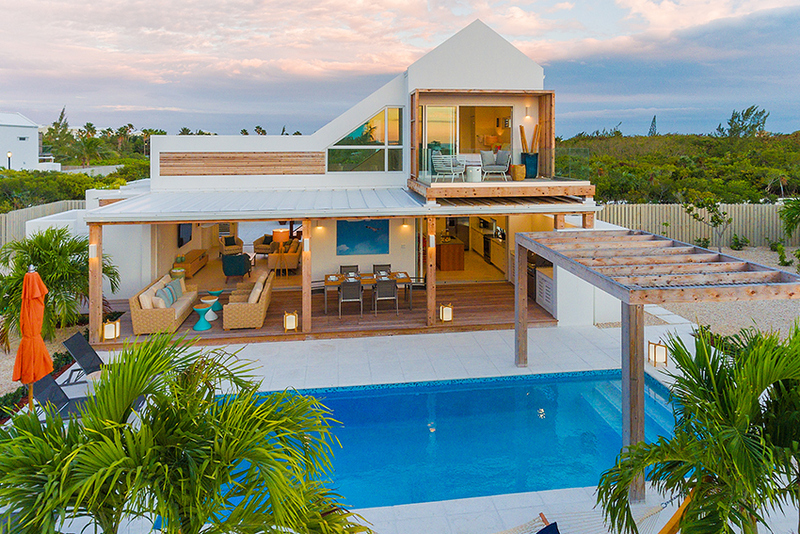 Sunset Beach Villas is a private gated community in Providenciales, Turks and Caicos Islands located in Leeward Estates just 200 m away from Grace Bay Beach. 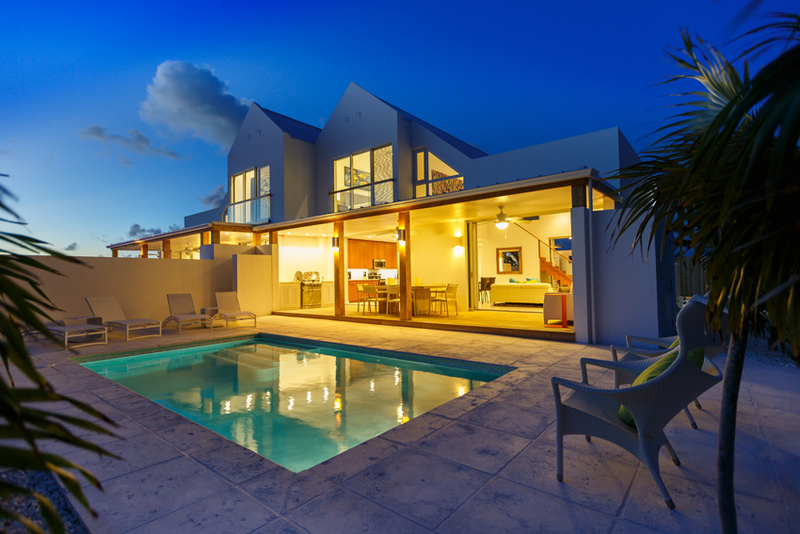 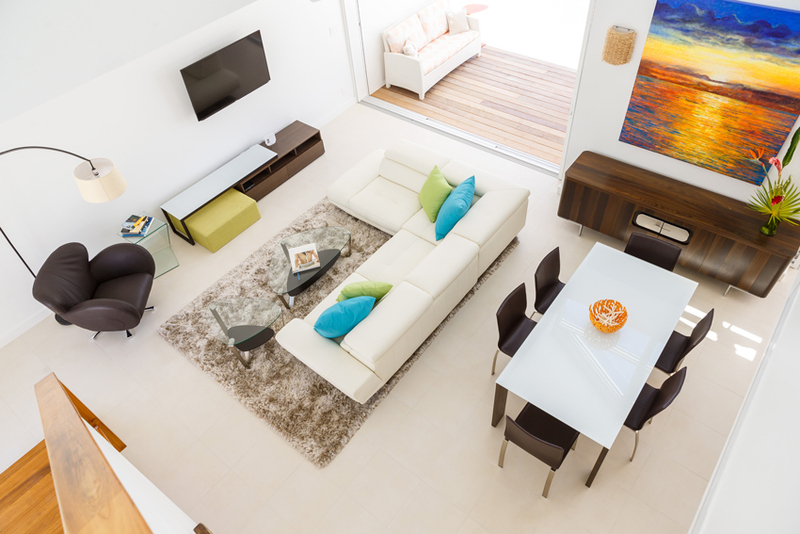 There are three newly constructed luxury villas available for rent within the gated enclave. 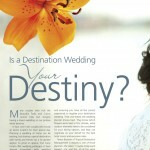 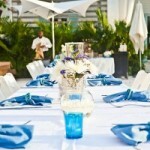 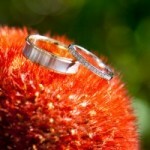 Families, couples, small events such as family gatherings, yoga retreats, and milestone birthdays. 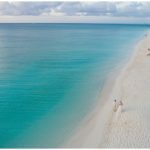 People who love: beach combing, swimming, watersports, stand up paddle boarding, kayaking, snorkeling, SCUBA, kiteboarding, sunsets and more! 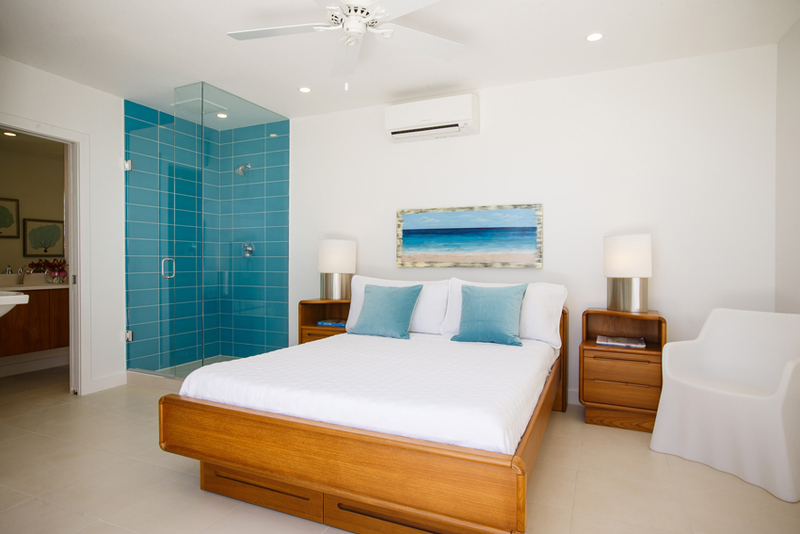 Each bedroom is designed to be a private personal space equipped with ample storage, arm chair, it’s own safe and attached bathing room. 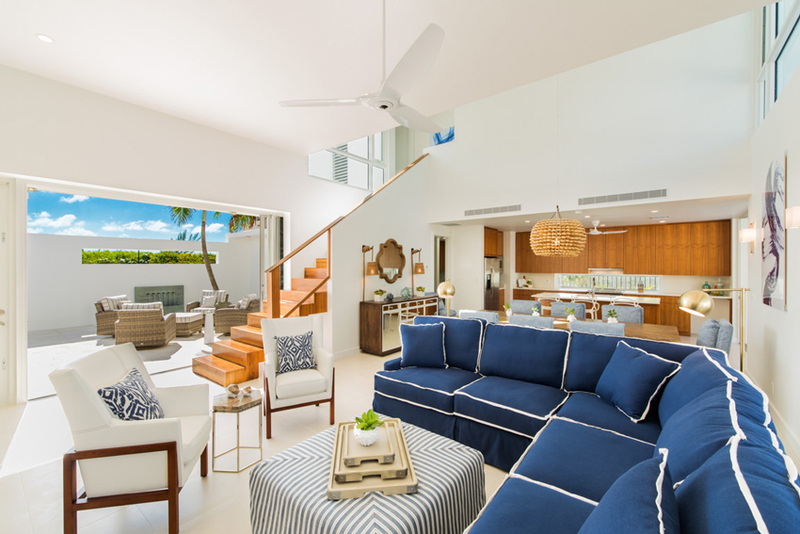 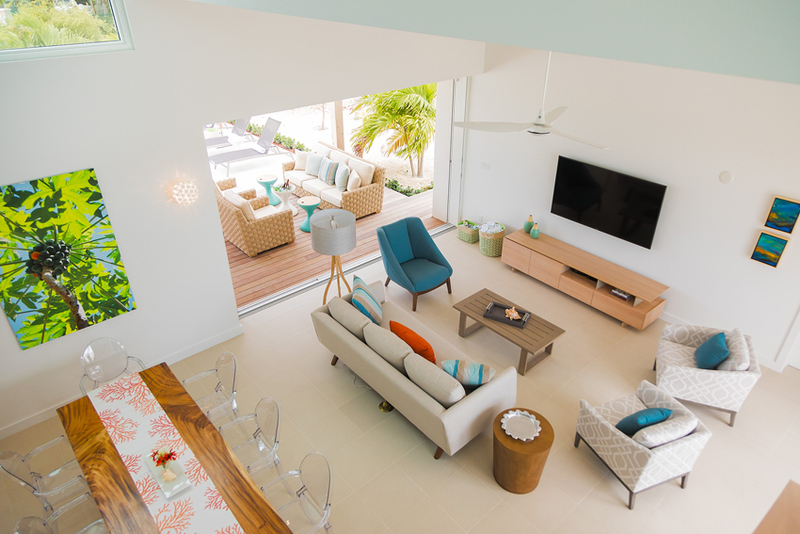 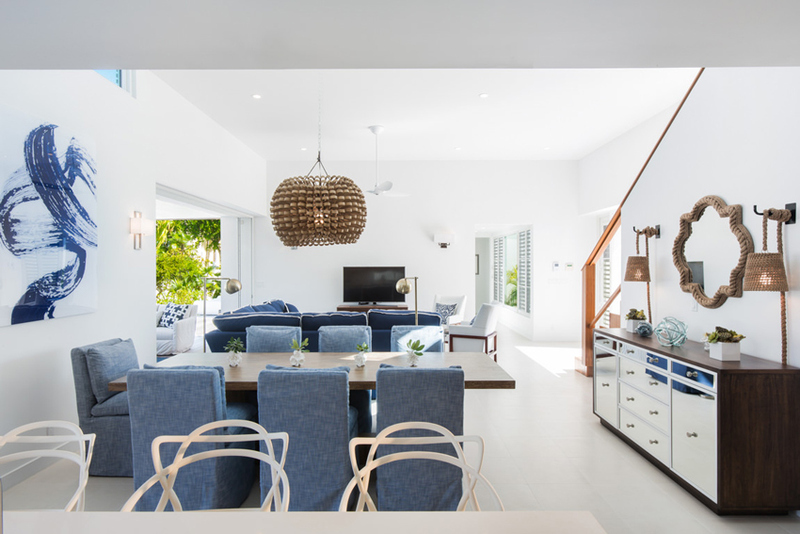 This new 5-bedrooms / 6 bathrooms stand alone villa allows guests to choose from a variety of thoughtfully appointed areas both in and outside. 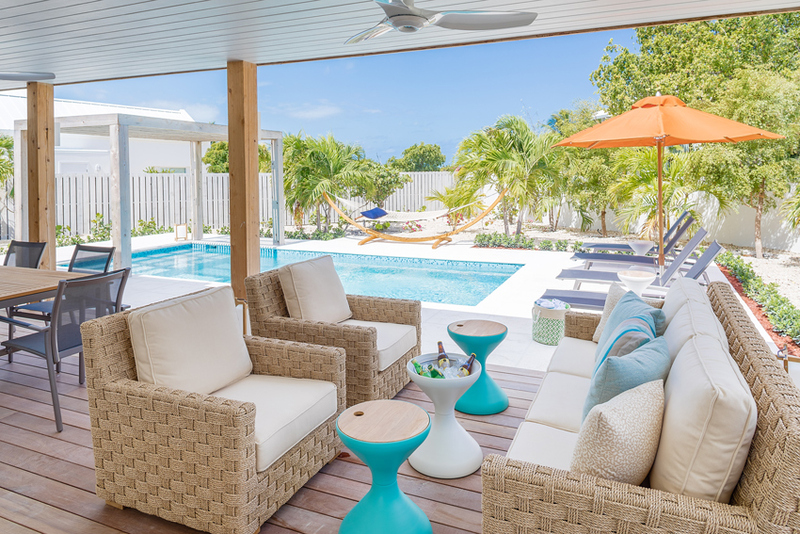 A fountain-garden courtyard, poolside beds and loungers, 2 balcony seating areas, outdoor lounging under roof, and even a hammock set in a tropical garden. 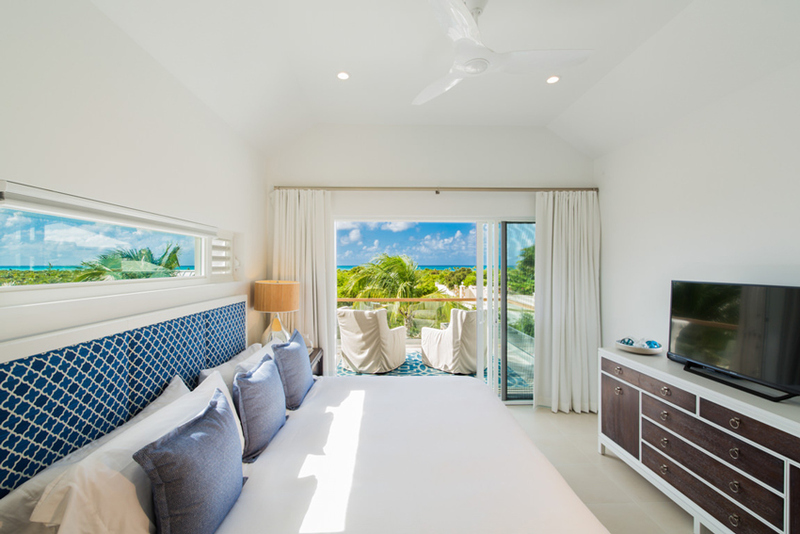 Additionally, each bedroom is designed to be a private personal space equipped with a television, armchair and ensuite bathing room. 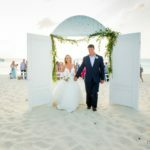 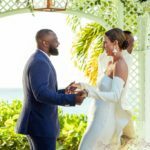 high-end events for large corporations, charities and celebrities and has organized over 400 weddings for couples throughout Canada, the U.S. and Europe, who chose Turks and Caicos as their destination wedding location. 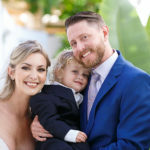 She has created a boutique operation built on a smaller client base that allows her company to provide specialized assistance to her customers’ particular needs. 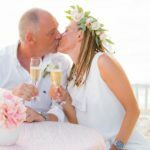 Teresa has 15 years in hospitality on the island.